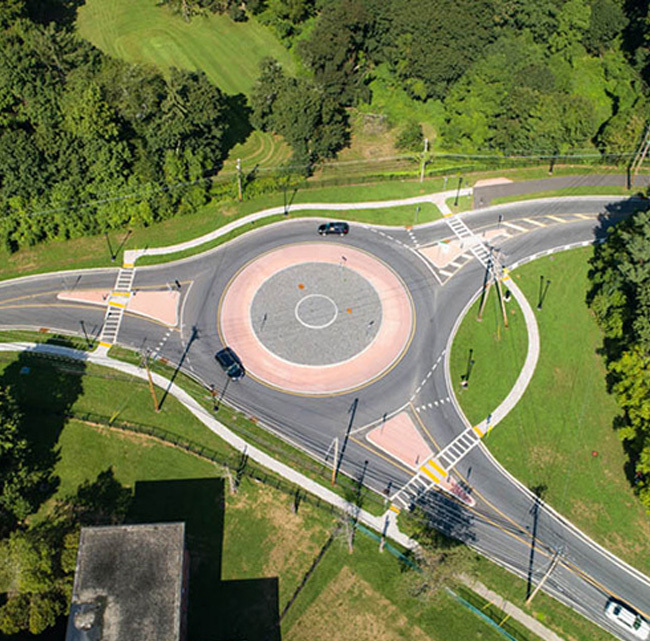 The American Council of Engineering Companies of New York has selected our Creek Road Intersection Reconstruction / Modern Roundabout project for the 2019 Platinum Award in Category H: Transportation. HVEA performed the design and construction inspection services to create a roundabout for this critical “three-legged” intersection. With some 9,000 students and staff commuting to Dutchess Community College, the AADT’s grew to 15,000 on Creek Road, 7,500 on Smith Street and 17,500 on the Salt Point Turnpike. HVEA’s roundabout design successfully replaced three left hand turns with three right hand turns, replaced four stop signs with three yield signs, and perfected vehicle speeds for this very busy, unconventional junction of three streets in the City of Poughkeepsie. The Engineering Excellence Awards are presented to projects that encompass both the public and private sector in the following categories: studies, research, and consulting services; building/technology systems; structural systems; surveying and mapping technology; environmental; waste and storm water; water resources; transportation; energy; industrial and manufacturing processes and facilities; and special projects. Winners will be honored at the Annual Engineering Excellence Awards (EEA) Gala, which will take place at the Hilton Midtown in New York City on April 13, 2019. This event is co-sponsored by the ACEC New York Scholarship Fund, and in conjunction with the Gala, the scholarship program will award more than $50,000 to NYS engineering students. © 2019 HVEA Engineers. All rights reserved.